We’re looking for 8 people to fill our Organiclea trainee roles for 2019. 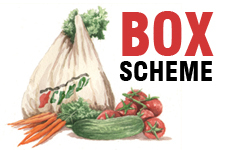 This is an exciting opportunity to be part of the Organiclea community and to take on a specific area of learning and responsibility in community food growing, local food distribution, and support for volunteer learning and participation. These are 9 month structured volunteer-training placements. Starting week beginning 25 March, and ending week beginning 16 December 2019. All are based at OrganicLea’s main site – Hawkwood Plant Nursery in Chingford, Northeast London. Roles can be achieved with a commitment of one day a week: Some require Tuesday commitment, some focus on Wednesdays and others are a Friday opportunity (with some benefiting from agreed flexibility across the traineeship time). The working day for all roles is 9-5. More details about how the days relate to roles are below. There are additional workshops/learning opportunities on 2 evenings a month at the end of the working day. Participation in very occasional weekend (Sunday) activities also supports the overall experience. To find out more details and apply, please download the individual role descriptions below. Traineeship days: 1 day per week for 9 months. To gain most from the Hawkwood week and learning opportunties, it is preferable that the candidate’s working day changes during the course of the traineeship. Ideally, the trainee would be available to work on a Tuesday or Wednesday, and able to change from one day to the other every two months. We realise this may not be possible/practicable for every candidate, so the detail of the “day change” can be worked out prior to the role commencing. Traineeship days: 1 two day role and 1 one day role. *The two day role will be a more in depth traineeship with growing, harvest, packing every week and development of holding one aspect of our stalls work. Core days are Tuesday and Wednesday – with the possibility of shifting to a Saturday as traineeship progresses. *The one day role is a one day per week commitment, but as different days at Hawkwood have a different flavour, structure and learning objectives, it is preferable but not essential that the candidate’s working day changes during the course of the traineeship. Ideally, the trainee would be available to work on a Tuesday or Wednesday, and able to change from one day to the other from time to time. We realise this may not be possible/practicable for every candidate, so the detail of the “day change” can be worked out prior to the role commencing. Traineeship days: Fridays (plus additional learning opportunities at end of the day on occassional Wednesdays). Traineeship days: 1 day per week commitment, but different days at Hawkwood have a different flavour, structure and learning objectives, so it is necessary that the candidate’s working day changes during the course of the 9 month traineeship: From March – June this will be on a Wednesday, after which it will change to a Tuesday from June – October. From October – December it is hoped the trainee will commence work on a site outside of Hawkwood, and be able to work more flexibly. To apply for any of the above roles and FIRSTLY please indicate which role(s) you are interested in: Please send a CV or a description of your employment (and volunteering) history; and a covering letter detailing how you meet the person specification and why you want this post to: volunteering@organiclea.org.uk or by post to the Hawkwood address below. 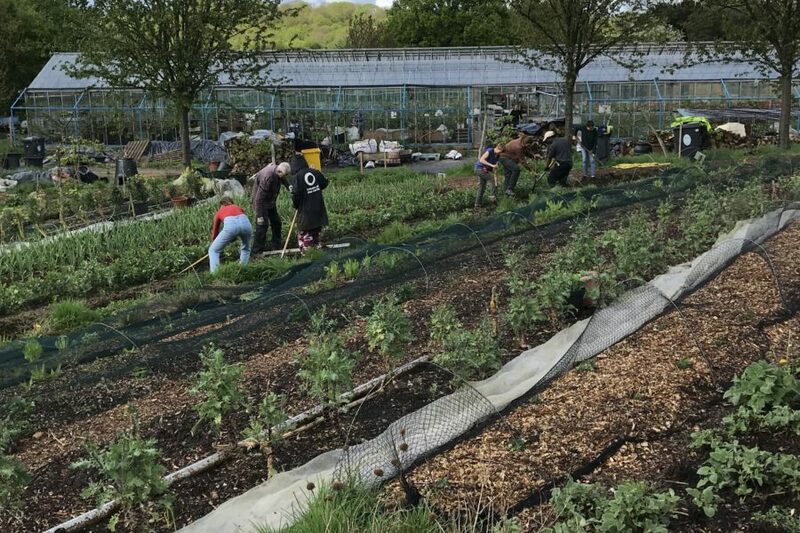 For more information about the roles, start by contacting Clare at: volunteering@organiclea.org.uk/020 8524 4994 (Tuesdays and Fridays are good contact days).